We buy houses anywhere in Richmond and other parts of Virginia, and at any price. Check Out How Our Process Works. We’re ready to give you a FAIR OFFER for your house. Needing to sell your house fast in Richmond? Arch Capital Partners is here to help! We’re ready to give you a fair cash offer for your house no matter the condition of the home! That’s right, we buy houses Richmond, no matter the condition of the house, situation you’re in or how quickly you may need to sell! Stop the frustration of your unwanted property. Let us buy your Richmond house now, regardless of condition. Are you facing one of the following situations with your home in Richmond? No matter what you’re facing with your house in Richmond, Arch Capital Partners is here to help! We buy houses Richmond quickly for cash, so if you need to sell my house fast Richmond, we’re the folks who can help! We want to help buy your house for cash to get you out of your potential stressful or burdensome situation! Even if the house has a thousands of dollars of repairs that are needed, or if the tenants in the house are a nightmare, we can still help! We’re your premiere house buying company in Richmond! 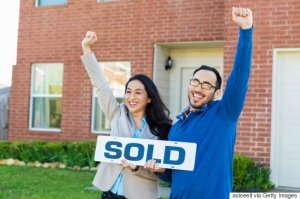 Do You Need To Sell Your House in Richmond, Virginia? Needing to sell your house fast Richmond? We Buy Houses Richmond, so look no further! We can give you a cash offer in 24 hours or less. Call today at 804-601-8792! Arch Capital Partners works differently than most companies do. When you contact us and fill out the short form that’s listed below, we’ll give you a fair cash offer for your house within 24 hours. So when you need to sell my house fast Richmond, we’ll buy it quick for cash! We buy houses Richmond, so there’s no need to wait on anything like a traditional sale of a house! Again, no matter the condition of the house, if it has bad tenants, if it needs a ton of repairs… don’t stress! We got you covered!! Our goal is to help property owners — just like you — get out of a struggling, burdensome or stressful situation. From divorce, foreclosure, the death of a family member, burdensome rental property, and all kinds of other situations. We buy houses in Richmond… and all over Virginia and pay a fair cash price, fast. Sometimes, those who own property simply have lives that are too busy to take the time to do all of the things that typically need to be done to prepare a house to sell on the market… if that describes you, just let us know about the property you’d like to be rid of and sell your house fast for cash. Even if you just don’t want to put up with the hassle of owning that house any longer or the time consuming expense of selling your house the traditional realtor was, let us at Arch Capital Partners help you! We can get you cash fast for the house you’re wanting to sell in or around Richmond. Remember this, we’re here to help YOU get out of your situation. Our priority is focusing on people more than anything else! Call us today at 804-601-8792!